Our website address is: http://hakubatravel.com. 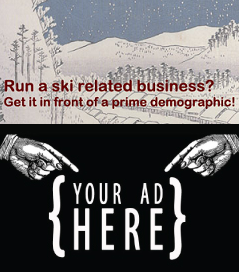 See more about us here. Destination Hakuba realises the importance of ensuring that personal information held by the company is treated confidentially and is committed to ensuring that all personal information is only collected, disclosed, used and stored in accordance with the National Privacy Principles set out under the federal Privacy Act 1988. PERSONAL & SENSITIVE INFORMATION WE COLLECT AND HOW? Personal Information’ is information or an opinion (including information or an opinion forming part of a database) whether true or not, and whether recorded in a material form or not, about an individual whose identity is apparent, or can reasonably be ascertained, from the information or opinion. Sensitive information, as defined by law, is any information about a person’s racial or ethnic origin, political opinion, membership of a political association, religious beliefs or affiliations, philosophical beliefs, membership of a professional or trade association, membership of a trade union, sexual orientation or practices, criminal record, health information, biometric information that is to be used for the purpose of automated biometric verification or biometric identification or biometric templates..
We collect personal and sensitive information about you, whether it be directly from you, or others who are making a booking on your behalf, that is relevant to your travel arrangements and in the course of providing a product or service and/or when you have other dealings with us. Details we may collect can include, apart from sensitive information, can include, your name, gender, mailing address, telephone number, email address, credit and debit card number and expiry date or other payment data, language preference, nationality, passport, visa or other government-issued identification data, membership or loyalty program data, and details of your flight, hotel and car bookings and other travel details. Your personal information will be collected when you deal with us over the telephone, send us a letter or an email, visit our website, complete an online registration form, visit our properties or use on-property services, provide information to complete a booking or subscribe to a service provided by us. Details we may collect can include, apart from sensitive information, can include, your name, gender, mailing address, telephone number, email address, credit and debit card number and expiry date or other payment data, language preference, nationality, passport, visa or other government-issued identification data, membership or loyalty program data, and details of your flight, hotel and car bookings and other travel details. Your personal information will be collected when you deal with us over the telephone, send us a letter or an email, visit our website, complete an online registration form, visit our properties or use on-property services, provide information to complete a booking or subscribe to a service provided by us.We may also collect information about you in order for you to register as a member to receive email communications (newsletters & marketing emails), participate in a survey or promotion, receive an invitation to a seminar or event, ask a question or initiate a transaction on our website, over the phone or a mobile application. We may collect other data that generally do not reveal your specific identify or do not directly relate to an individual. To the extent these other data reveal your specific identity or relate to an individual, we will treat these other data as personal data. Other data include browser and device data, App usage data, data collected through cookies, pixel tags and other technologies. USE OF YOUR PERSONAL INFORMATION? 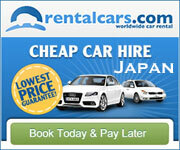 Suppliers, such as hotel, airline, car rental, and activity providers, who fulfil your travel reservations. Throughout this site, all services provided by a third-party supplier are described as such. 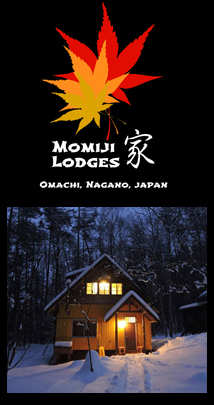 We do not share your email address with these suppliers unless they need it to fulfil the travel reservation you have made on Destination Hakuba, and we restrict their use of this information to that purpose. We do not place limitations on our suppliers’ use or disclosure of your other personal information. Therefore, we encourage you to review the privacy policies of any travel supplier whose products you purchase through this site. Please note that these suppliers also may contact you as necessary to obtain additional information about you, facilitate your travel reservation, or respond to a review you may submit. Our goal is to provide you with the highest level of hospitality and services, and to do so, your Personal information may need to be shared with external service providers engaged by Destination Hakuba in order for those service providers to fulfil their service obligations to the firm. Examples includes, digital marketing agencies who assist in managing Destination Hakuba’s servers and networks may need to access client data in order to maintain the servers and networks. As well as suppliers of products or services which you have selected (such as airlines, tour operators, car hire operators, hotels and insurance providers); third party travel service providers who assist in fulfilling the booking you have made. The third parties we disclose your personal information to (our suppliers, travel service providers, website managers, cloud infrastructure and data centre providers) may be located in a different country from yours. We will only disclose your personal information to these overseas entities in connection with facilitation of your travel booking and/or to enable the performance of administrative and technical services by them on our behalf. In these circumstances, we prohibit third parties from using your personal information, except for the specific purpose for which we supply it; government authorities in the event of an accident, disaster or emergency; and others where we are authorised or required by law to do so, in accordance with the federal Privacy Act 1988. We use reasonable organisational, technical and administrative measures to protect your personal data. However, no data transmission or storage system can be guaranteed to be 100% secure. If you have reason to believe that your interaction with us is no longer secure, please immediately notify us. If any personal information we hold about you is not accurate, complete or up to date, please let us know and in most cases, we will use all reasonable efforts to update the information; which we will need to verify your identity before giving you access or prior to changes details. Destination Hakuba is committed to keeping secure the data you provide to us and we will take all reasonable precautions to protect your personally identifiable information from loss, misuse or alteration. You may at any time opt out of receiving such materials by completing our Online Enquiry Form. 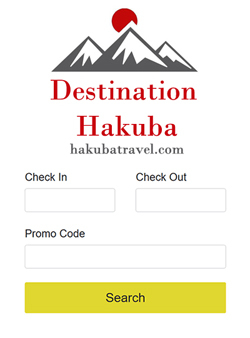 Upon receiving such a request, Destination Hakuba will remove your contact details from our distribution lists as soon as reasonably practicable. If you do not wish to use a cookie, you can adjust your browser settings to reject cookies or notify you when they are being used. You may opt-out of certain Session Data being collected while you are using a mobile device by clicking here. We also use pixel tags to monitor the open rate of our communications. This helps us understand the effectiveness of communications we send. We do not use this information for any other purpose.